Choosing new glasses is difficult. For some people it’s fun; for some people it’s a chore. They will be on your face for the next year or two so you’ve got to get it right. They need to be comfortable, function perfectly and look the way you want them to. How do I choose from the thousands of frames on offer? That’s where we come in. At Cottam and Glaister, our experts make time for you. How do you want to look in your new glasses: fashionable, professional, sporty, glamourous, intelligent, all of these… or none of these? Perhaps you don’t want your glasses to be noticeable at all. What is your job? Will you be using them for any hobbies or sports? 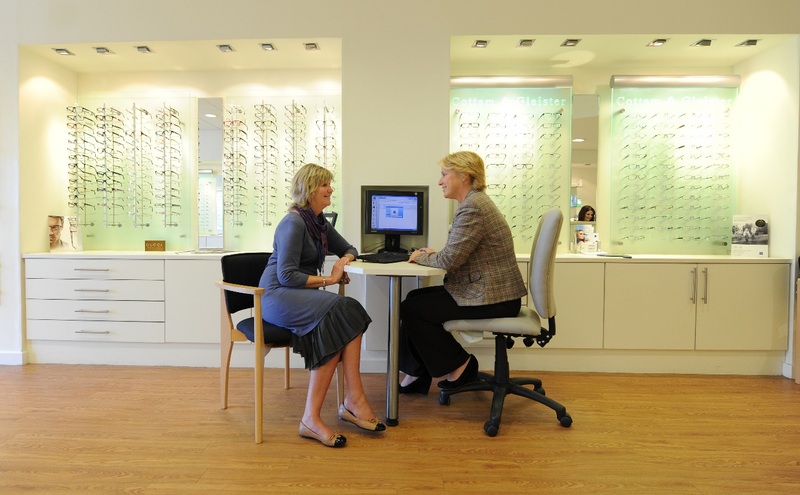 We’ll find out exactly what you want your glasses to do for you, assess your face shape and colouring and help you pick out a few frames that fit well and make you feel good. We’ll make recommendations based on your lifestyle and prescription. Once you fully understand your options, you’ll be ready to make the right choice. And there’s no pressure. You’re welcome to think about it and come back with a trusted friend to get their opinion if you wish. I can’t see in the mirror without my glasses on. How can I choose a new pair? 2. 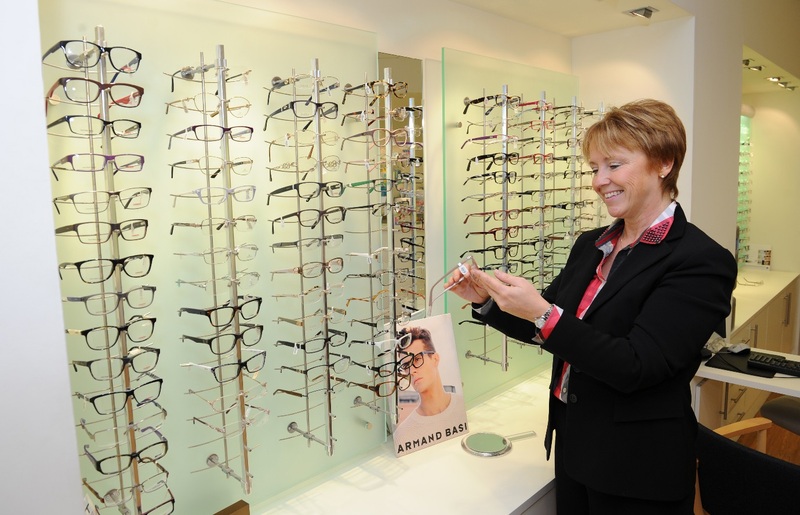 We can place a pair of contact lenses on your eyes so you can see while you choose your frames. We’ll remove them before you leave. Of course, if you love the contact lenses, we’ll book you in for a proper assessment appointment. Create balance by choosing the opposite to your face shape. If you have a long face, choose high sides and deeper lens shapes. Choose a lower bridge position. A high bridge will make your nose appear longer.